“Antares was born in the distorted space between two dimensions and was always incomplete from the beginning. Due to this instability, Its soul has been consumed by darkness as soon as the God of Ruin opened a portal from their realm and ours. Antares was easily swayed by the power of Zelnaris and its soul was eventually split into two. 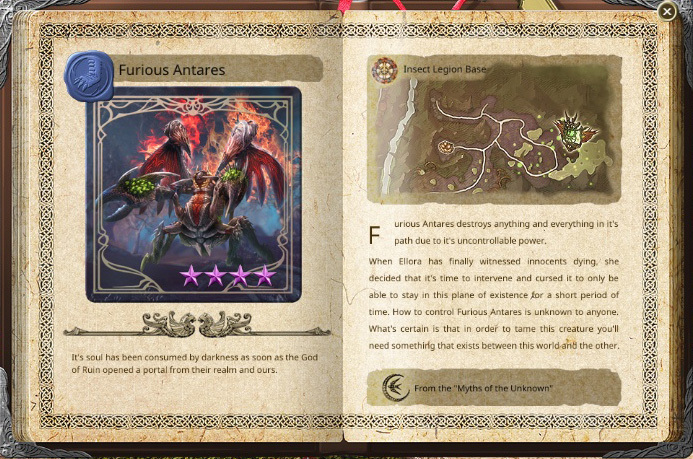 Furious Antares destroys anything and everything in its path due to its uncontrollable power. When Ellora has finally witnessed innocents dying, she decided that it's time to intervene and cursed it to only be able to stay in this plane of existence for a short period of time. 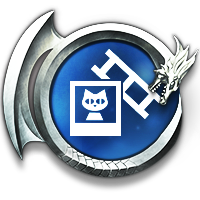 Furious Antares, punished with the curse of Ellora. Hi everyone! 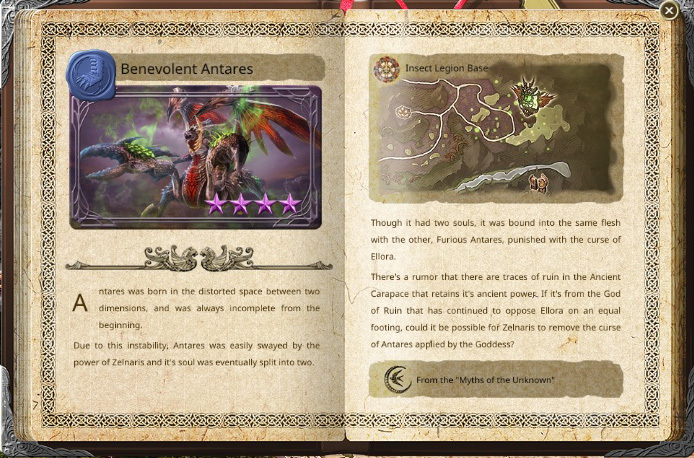 Today will talk about Antares, it’s one of the scariest mounts in game atm and it has 2 types, Benevolent is for magical classes and Furious is for physical classes. 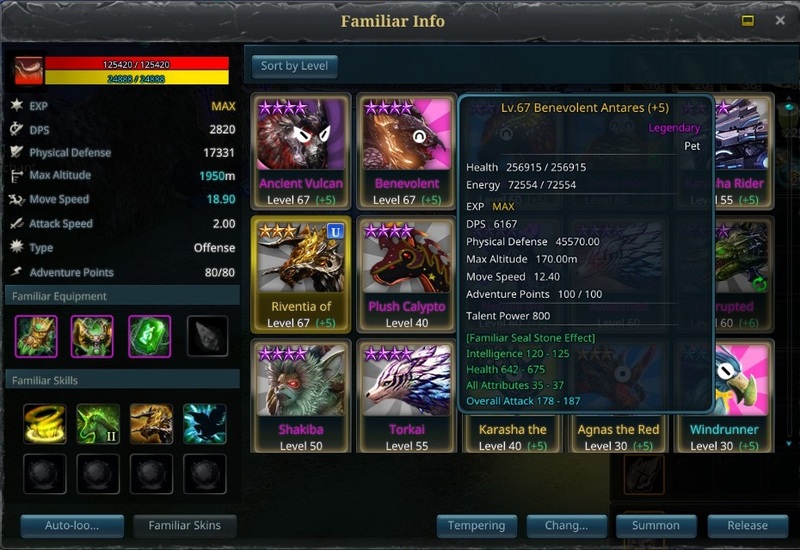 Not skill wise but seal stone stats are different. 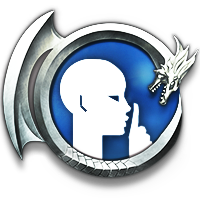 First, you need to obtain recipe and as you can guess it drops from Tomb of the Wyrm in Legendary mode. The materials to craft the mark also drops from there. 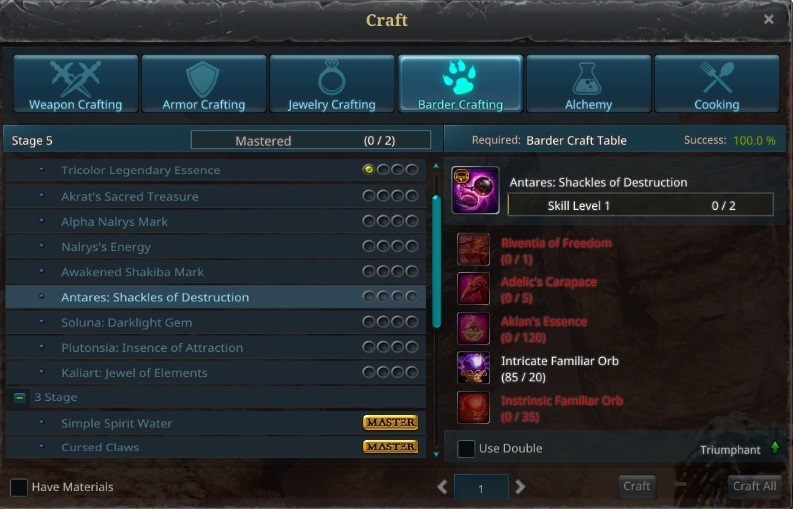 (Adelic's Carapace) You need to have stage 4 barder crafting level in order to learn and craft the mark. 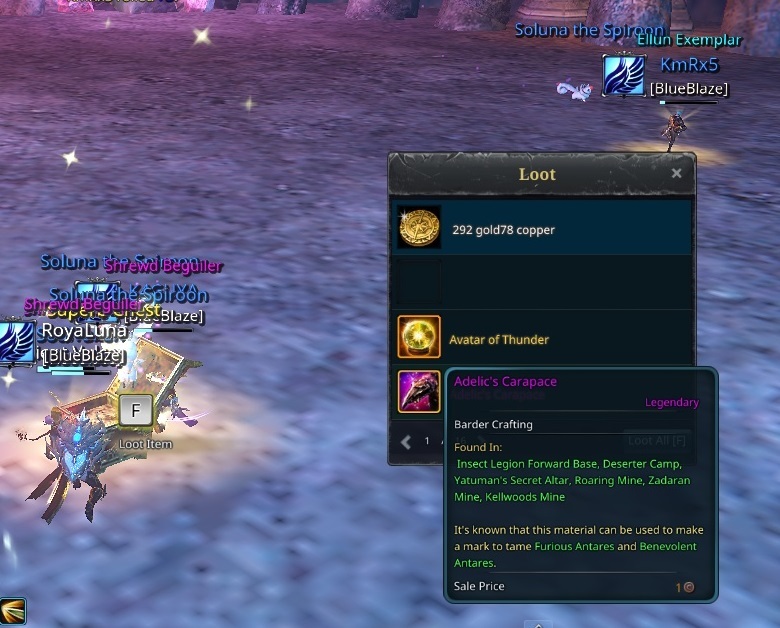 Also, you will need Riventia of Freedom Seal, you can check my previous guide to get that. 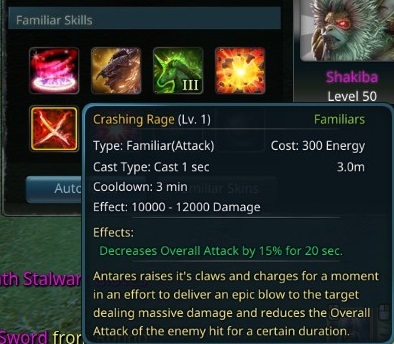 If you are really lucky you can drop Antares mark from Legendary version of ToW directly. 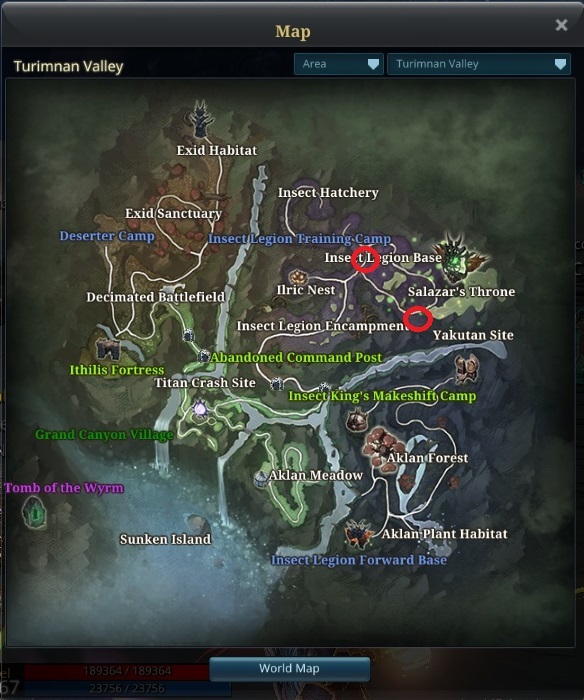 There are 2 locations for Antares in the map but sometimes they switch sides. They both spawn at 10 am UTC and 10 pm UTC, stay for 2 hours, then vanishes. So you need to be there on time to tame them. 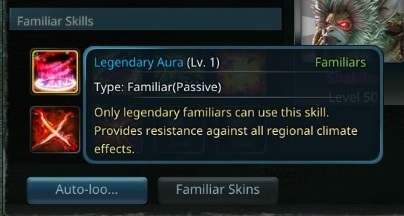 According to feedback from players, you may fail up to 8-10 times. It’s not an easy catch. 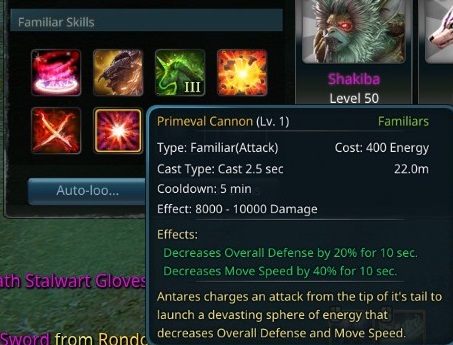 You can see they both give same skills but stats are different. It’s a really good pet and seals in game atm. Good luck! 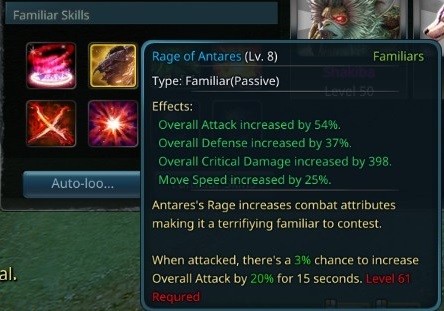 Furious Antares gives 120-125 STR instead of Int, the rest of the stats and skills are same.